Saw the movie “Wonder Woman” a few days ago. On the whole, I liked it. Gal Gadot is quite a good actress. She’s not as beautiful as Lynda Carter, but she has her charms. And she has good chemistry with Chris Pine. The pair reminds me of the more traditional romantic comedy pairs of Hollywood movies in the 1930s to 50s. The big setback for me is the very ridiculous way the writers destroyed Greek mythology. In the 1970s TV series with Lynda Carter, Wonder Woman was made of clay, sculpted by the Queen of the Amazons, Hyppolita. Hyppolita prayed that the sculpture be turned into human flesh. Aphrodite obliged, and so Diana, Princess of the Amazons was born. Although the story has absolutely no bearing in the original Greek mythology, it can very well be “accommodated” by it as it does not negate the myths in any major way. That Diana, the Wonder Woman, was sent to contemporary United States, is something that TV audiences are used to ignore or gloss over. It’s just one of those tongue-in-cheek add-ons Hollywood writers insert in their B-movies or TV shows featuring fantasy or sci-fi stories. But in the Wonder Woman movie, the Greek myth was wedded to Christian myth, and became terribly inconsistent with Greek mythology. Worse, the convoluted mythology is the framework of the movie. In the Christian myth, God the Father created mankind and the angels. Some of the angels, led by Lucifer, revolted. They were banished from Heaven but are forever creating havoc among mankind. God the Father, through God the Holy Spirit, impregnated the Virgin Mary. And so, God the Son, was born. In the Wonder Woman movie, the gods created men. Zeus was the Father of the Gods. But one of his sons, Ares, led a revolt which killed all the gods, including Zeus himself. But before the Father-God was killed, he impregnated Hyppolita, the Queen of the Amazons. And so Diana, the Wonder Woman, God the Daughter, was born. And so, just as Lucifer creates evil and mischief among mankind, Ares, the god of War, creates evil and mischief among mankind which leads them to fight wars after wars after wars. But if the King of the gods is dead and all the other gods are dead, except for Ares and Wonder Woman, who takes care of the Universe? In the movie, it said that the gods created men in their own image. But that verse came from the Bible (Genesis 1:27), NOT from Greek mythology. There are many creation stories in Greek mythology, but none of them with the gods creating men. In fact, Jupiter, the King or Father of the Gods, did not like humans. It was a Titan, Prometheus, who created mankind from clay. The Titans Kronos and Rhea were the parents of Zeus and other gods and goddesses. In Greco-Roman mythology, gods and goddesses are immortals. There are other immortal beings, like the Titans. Being immortal means one cannot die or be killed. But in the world of Wonder Woman, gods can be killed by other gods. I guess the writer got the idea from The Highlander (1986). A highlander is an immortal but can be killed by another highlander. In the movie, Ares or Mars, the God of War, is the epitome of Evil. He killed all the gods, including his father, Zeus (Jupiter). And the only other god(dess) alive is Diana (the Wonder Woman), supposedly, the daughter of Zeus and Hippolyta and Ares’s half-sister. Funny thing is, in Greco-Roman mythology, Ares or Mars was the FATHER of Hippolyta. This makes him the grandfather of Wonder Woman! Hollywood loves to tell old stories their own way. Thus, they re-make the world. While the United States lost the Vietnam War, Hollywood movies showed them winning. In 2000, Hollywood produced U571, a movie about Americans capturing an Enigma cipher machine which led the Allies to decode German communication and thus win the war. But in reality, the British had captured an Enigma machine months before the US entered World War II. The British were so incensed by the film’s false story that it was debated in the British Parliament and even the pro-American Tony Blair said that the movie was an “affront to British sailors”. US President Clinton had to declare that the movie U571 was just a “work of fiction”. Fictionalizing history has been done over and over in Hollywood. And if history is not sacred, how could mythologies and fairy tales escape Hollywood re-telling? Fairy tales are now being re-told by Hollywood that make feminists happier. Princesses do not necessarily wake up when Prince Charming comes to kiss them. Damsels in distress are not as helpless as before. The legend of Perseus was turned upside down, with massive doses of Christian beliefs added, including a pinch of Islamic flavoring (the Jinns). 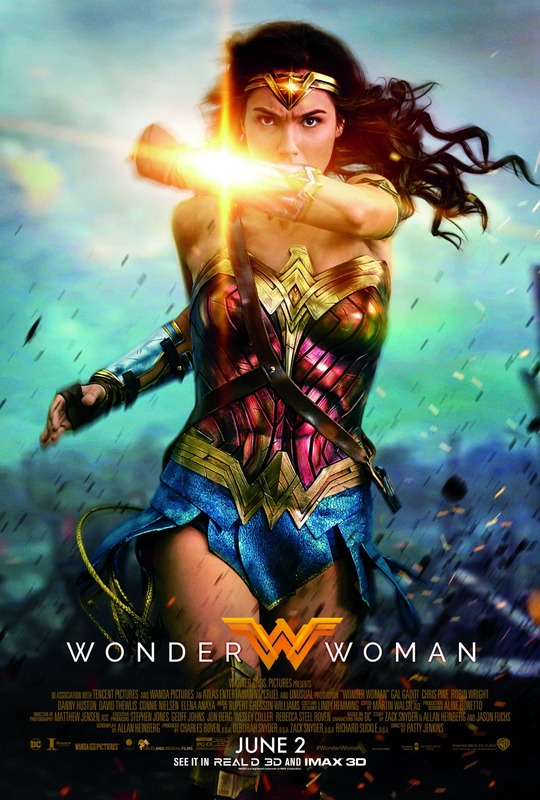 Perhaps following the footsteps of Clash of the Titans (2010), which was a remake of a 1981 film of the same title, the Wonder Woman writers thought nothing of making a mockery of Greco-Roman mythology. Greek mythology is so rich in drama, in human and superhuman conflicts, and has spawned literary masterpieces. The cinematic art can do wonders with these stories. And these tales are timeless. As I wrote in my post on Clash of the Titans, “These mythological characters have a firmly set universe preserved through millennia. They could not be easily changed.” There is no need to change the stories, esp. if the new stories cannot even withstand a simple test of logic. I remember seeing the old movie Ulysses which starred Kirk Douglas and Sylvana Mangano. I was in grade school then, but when I later read Homer’s Odyssey in high school, I found the story and the characters pretty much the same. That film was made in the 1950s (I saw it ca. 1970). That was made by the Italian dynamic duo – Carlo Ponti and Dino de Laurentiis. Why couldn’t Hollywood make such films? If the Clash of the Titans (2010) was a disaster, the Percy Jackson movie series are simply mindless. I saw fragments of it on TV. It is like a bad Disney film about the Greek demi-god Perseus transported into modern-day America. I don’t know why such movies are even allowed to be shown. Hi! I am so grateful that you are teaching Greek mythology to your kids and maybe reading my books with them. I hope it goes well! If you want some lesson plan ideas I have a ton of free stuff on my website, mostly pulled from my own fifteen years as a middle school teacher. Now a plea: Please, for the love of multiple intelligences, DON’T show those “Percy Jackson” movies (ironic quotes intentional) in your classroom for a compare-contrast lesson or, gods forbid, a “reward” at the end of your unit. No group of students deserves to be subjected to that sort of mind-numbing punishment. The movies’ educational value is exactly zero. A better use of classroom time would be… well, pretty much anything, including staring at the second hand of the clock for fifty minutes or having a locker clean-out day. If you need a break and are using the movie so you can have time to grade papers, hey, I totally get that. I was a teacher for a long time! May I suggest Clash of the Titans, or the cheesy old 1960s version of Jason and the Argonauts, or heck, even the animated Hercules from Disney, as bad as it is. Those movies have plenty of things to compare and contrast with the actual Greek myths. But my heart breaks every time I hear that classroom time is being thrown away watching those vapid Percy Jackson adaptations. Thanks for listening. I hope you have a great school year. I hope your kids get excited about reading. And I hope you’ll consider this author’s plea. The kids don’t need classroom time to learn that movies can be really, really bad. They’ll find that out on their own! I hope no teacher would show the movie Wonder Woman in his/her class as a guide to Greek mythology. See Clash of the Titans: Where are the Titans?